Facebook knows just when and with whom you are going to fall in love, a new study by the Facebook data team reveals. The study released last month, shows statistical evidence based on the number of timeline posts shared between two prospects that hint on budding relationships even before the relationship starts. The Facebook team of data analysts analysed number of messages exchanged, profiles visited and posts shared on each other’s timelines. They studied the group of people who changed their status from “Single” to “In a relationship” and also stated an anniversary date as the start of their relationship. “During the 100 days before the relationship starts, we observe a slow but steady increase in the number of timeline posts shared between the future couple,” noted Carlos Diuk of Facebook Data Science. 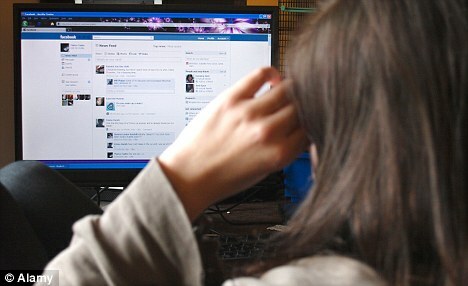 It is however noted that after the couple officially enter into a relationship, their posts on each others’ walls decrease. The drop is presumed that the two love birds are happy spending more time together. “When the relationship starts (“day 0″), posts begin to decrease. We observe a peak of 1.67 posts per day 12 days before the relationship begins, and a lowest point of 1.53 posts per day 85 days into the relationship. Presumably, couples decide to spend more time together, courtship is off, and online interactions give way to more interactions in the physical world,” writes Carlos Diuk in the article Formation of Love. The Facebook Data Science team has been releasing information about what the company’s massive trove of data reveals about relationships: how long they last , how love correlates to religion and age. Stay in touch for more posts on these revealing insights!